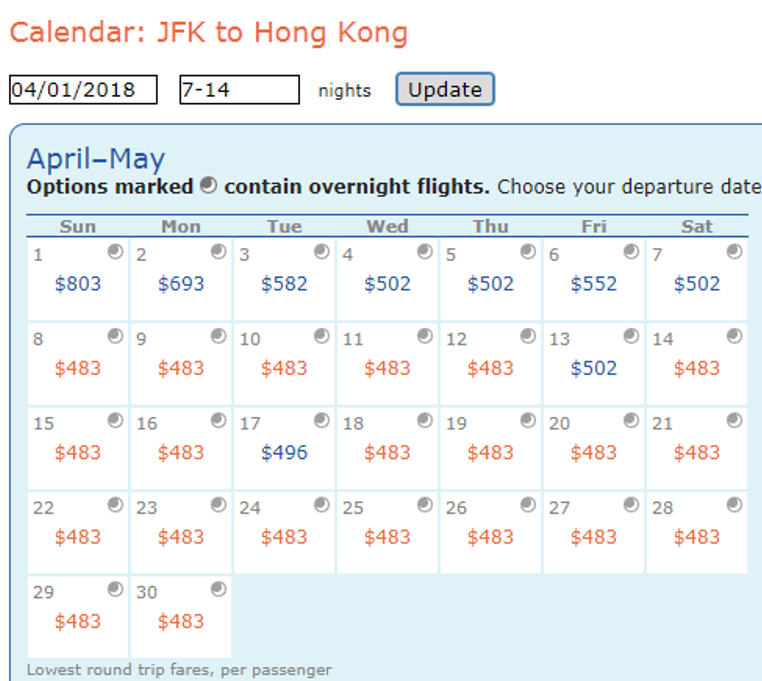 ITA Matrix is the main database upon which flight search engines are built... and you can use advanced codes to unlock features you otherwise would miss on Kayak, Google Flights or other searche engines to get the best deal. Finding the best fare can really stretch the value of your points. Aggregate all airports within 25-2000 miles of your destination... airports you didn't know existed. 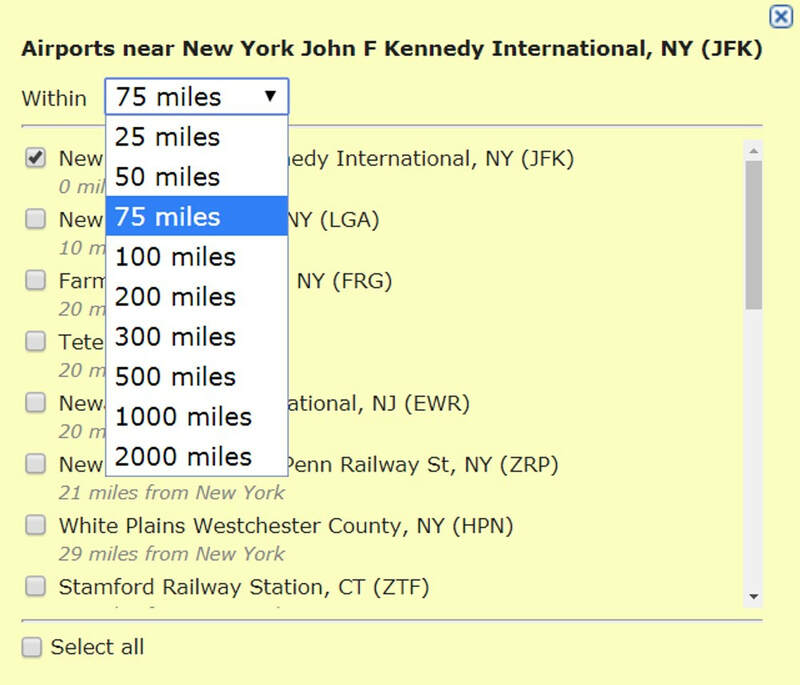 This can be especially helpful for "positioning flights", when you just want to get to a far region of the world (Hong Kong, Munich, etc.) and then take a local budget carrier. This is my favorite hack, two trips for the price of one! Program a stopover greater than 24-hours (1,440 minutes) using "X" and "minconnect 1440". If you want a specific connection airport, use its IATA code instead of "X". Filter out airlines with the exclusion symbol ("~") the airline code and a "+" sign. For example, if you dislike Spirit airlines, filter them out using ~NK+. 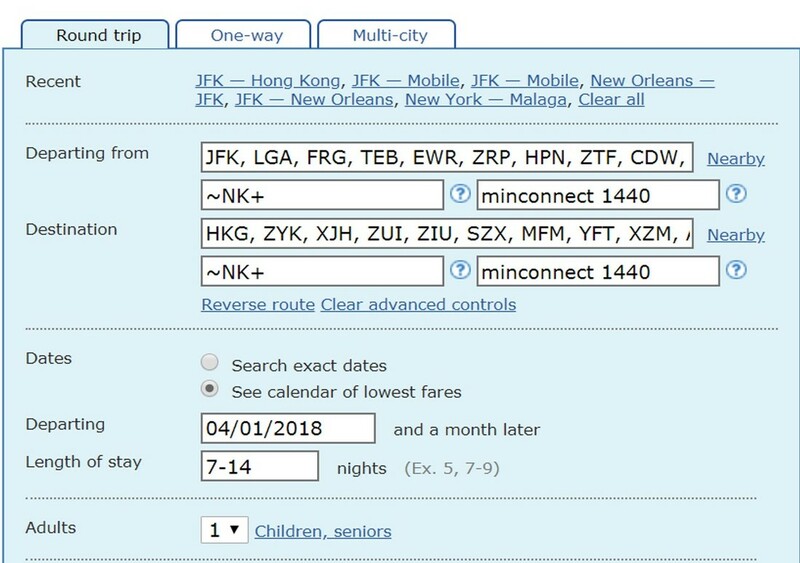 #5: Compare 1-Ways for "Hacker Fares"
To fly there on one airline and back on another requires searching two one-way searches, as round-trip will stick with a specific airline. Duration: Sort or slide a filter by overall length of itinerary to return shortest trips or longest stop-overs. "/ alliance star-alliance" "/alliance oneworld" "/alliance skyteam"